You step through a door into a warm, smoky lounge. The lights slowly dim, and faintly illuminate the faces of lovers staring deeply into eyes from across white cloth-clad tables. You find an open stool at the bar, order your usual, and turn to face the stage across the room. Spotlights hit the curtain as it raises, revealing a large band. The guitarist and drummer initiate a subtle groove as the frontman, suave as can be, strides toward the mic . . .
At its heart, hip-hop is communal. It was born from the collective mindset of those oppressed, deemed “unfit” by society, as a result of various circumstances; that’s why the genre works best when multiple perspectives are considered and implemented. 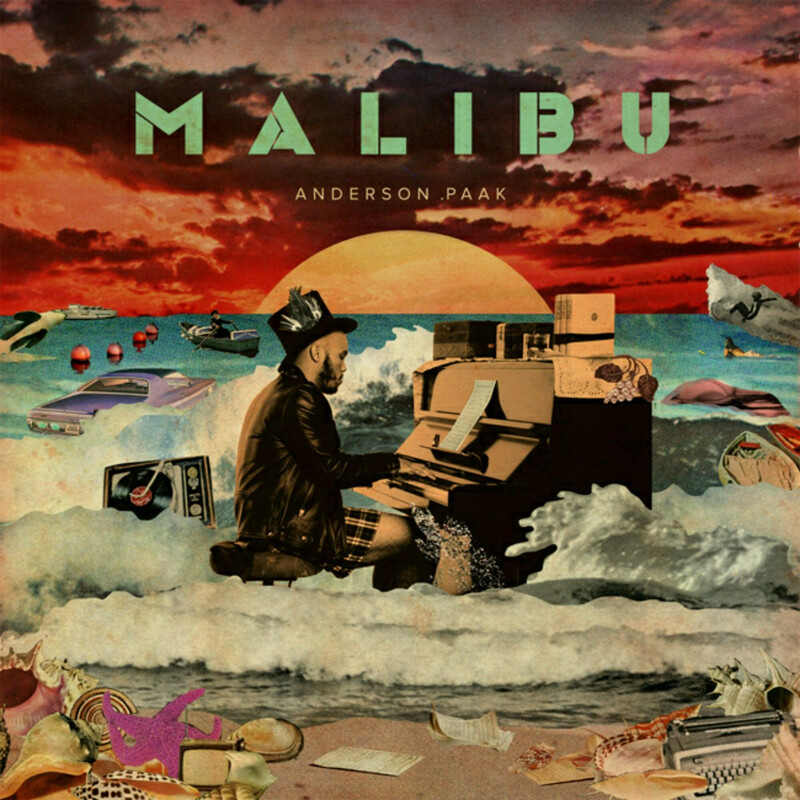 Malibu is the newest full-length from singer/rapper/producer Anderson .Paak. The artist, previously featured on Dr. Dre’s Compton, has created a masterpiece. It’d be a more plausible feat to list what bases .Paak doesn’t cover on this record. The spirit of hip-hop burns brightly in the core of these compositions, but the sonic stylings delve through the likes of funk, gospel, house, jazz, and many more. Schoolboy Q, Rapsody, The Game, Talib Kweli, and others are featured with wonderful results, but it’s the ringleader’s charismatic flow and soulful singing voice that steal the show. .Paak has certainly experienced his fair share of hardship, but rather than directly communicate those experiences via aggression, he contorts it into a plethora of vibrant colors that he paints into something beautiful and new. Kendrick Lamar’s To Pimp A Butterfly kicked off 2015 and set the bar high, but Malibu certainly gives it a run for its money. If you’re seeking expansive, funk/soul-tinged hi-hop, this album is for you.